Our school rolled out Canvas with training last school year and expectations for usage this school year. We have learned a lot as we have moved forward. There has been some frustration and also some excitement with this new learning management system. I received an interesting message from a Canvas salesperson this weekend who thanked me for my post "New to an LMS? Take the time to revamp for high agency learning". He said his background was in sales when he joined the Instructure/Canvas team and he wished he had access to this post when he started because he felt it would have helped him understand what Canvas can do for educators better. I do believe we are in a world where new technology-based platforms enter the market exponentially. With this, people are trying to decide how best to embrace these platforms for what they do. It isn't just educators in this struggle. I hear business owners, marketing directors, and whole industries trying to figure out what is next in the circles I am in regarding the increased saturation of voice speakers such as Amazon Alexa and Google Assistant. I heard a leading CEO for a media company say "our industry has to stop trying to force what we do into these new platforms. It's time for us to rethink what we do to adapt to these new platforms." Bazinga! The same holds true with education and access to learning management systems. Some of the frustration I hear teachers have with our LMS has to do with the fact that much of what they do is non-digitized and being fit into Canvas to fill the requirements. There is no shame in that game because often we don't know how to change something until we get to know the platform well. I think many of our teachers are beginning to be in the space of looking for other options. Below are a few options that teachers can try to change their curriculum in a way that fits the platform...not because this is the correct thing to do but because of frustrations from trying to do things the way they have in the past. The purpose of this post is to help educators see built-in ways inside Canvas to enhance learning in the classroom with the tools at teacher disposal. Discussions. Discussion boards are a great way to get ideas flowing. If you create discussions in Canvas you can have students discuss documents, links, YouTube videos, or just about any discussion starter you can think of. When setting up a discussion, you have multiple ways to create it to best meet your classroom needs. For instance, you can allow threaded discussions so people can respond to each other. You can also set it up where students can't read other comments until they post their own first. You can even put students in assigned groups for discussions (a great way to differentiate). Discussion boards are a great way to give the quietest student a voice. Collaborations. Perhaps your students have been collaborating in Google docs for a long time, but did you know you can set up collaboration opportunities right in Canvas? You can assign groups to work on a Google doc, presentation or spreadsheet by clicking on the "Collaborations" tab inside your course. You can set up your collaboration groups on the fly or set up groups first and then assign the collaboration to that group. Group Assignments. When creating an assignment in Canvas under the Assignment tab for your course, you can actually choose the option to make it a "Group Assignment." This then allows you to click to choose to give each member of the group their own grade or you can give every group member the same grade automatically when you grade the assignment. Media Recordings. Did you know that your students can create media recordings (both video and vocal) for assignments? Teach a foreign language and want to check for fluency? Have students upload themselves speaking. Teach dance, pottery, band or chorus? Have students upload a video to show their processes. Are your students going to present in class? Have them practice at home so you can give improvement feedback before the actual event. Did you know you, as a teacher, you can also leave media recording comments inside Speedgrader? That's right. Instead of typing out your comments, use your voice and inflection to share your thoughts in the writing process with your students. Outcomes. What are Outcomes? Outcomes allow the administration and faculty to track mastery in a course. Users can import Account, State, and Common Core Standards into an account and course. Another useful thing about using outcomes is that you can set assignments/quiz access based on the finishing of prior assignment/quizzes. This can allow students to move at their own pace for some units or assignments. It can also allow you to see if they are truly meeting the standards without leaving gaps in their learning before moving on to the next part of the curriculum. End of last year, I met a librarian who was keen to get book and reading reports captured in Canvas. I reached out to our APAC team, and we brainstormed and worked through a couple of options. Thanks to Amelia Hayson, Ryo Sakai, Paul Millar, Debbie Thompson, and Brett Dalton for your contributions to this article! Here are some options you might want to consider if you’re also looking to capture book and reading reports in Canvas. Create as many Assignments as needed in a dedicated reading Module, and students complete them as needed. add these Assignments into an Assignment Group and add a 0% weighting. Create an Assignment that allow multiple attempts. Tick the box so that it doesn't count towards the final mark. There will still be an entry in the Gradebook to input number of reading reports completed. Students submit as described in Option 1. You can also add a recurring Calendar Event with a link to this Assignment as a reminder for students to complete it weekly. Create an unmarked Survey and allow multiple attempts. Students fill out the Survey. Would not show up in the Gradebook if an unmarked Survey. Alternatively, you could make this a marked Survey so it shows up in the Gradebook, then put it in an Assignment Group with 0% weighting. However, like Option 2, it would only show one column in the Gradebook. Create a Group Set for Reading Reports, and assign students into their own Groups within that Group Set. Up to 200 Groups can be created in each Group Set, which means you can auto-assign up to 200 students into their own Groups using this method. Create a Group Discussion, and select the appropriate Group Set for Reading Reports. You may need to create multiple Group Sets and Group Discussions to capture all students who will be submitting reading reports. Students add a post for each reading report in a Group Discussion that only they can see. Extra administration work to set up Groups for each student. If unmarked, would not show up in the Gradebook. Alternatively, you could make this a marked Discussion so it shows up in the Gradebook, then put it in an Assignment Group with 0% weighting. However, like Options 2 and 3, it would only show one column in the Gradebook. Have you set up book or reading reports in Canvas? How did you do it? Have you tried one of our options above, or a modified version? We'd love to hear your ideas and thoughts. In 2013 I wrote my first blog post on managing technology usage in the classroom. The fear of off-task behavior still seems to be one of the main reasons teachers are hesitant to use technology five years later. While the devices may vary, the concepts on how to teach students good internal management of appropriate use have not changed. It starts with intentional boundaries being placed on students anytime technology is in their hands from pre-K forward. I believe wholeheartedly that classroom management of students on devices is a digital citizenship issue. We are teaching students how to manage their impulses by setting expectations of appropriate usage. I also believe that if we are requiring students to use technology in our classrooms, we also need to be teaching students how to use it wisely and timely. Expectations are important for appropriate usage. 1. Access Codes- Codes serve as a safeguard that students cannot access exams when you are not ready for them to access it. Giving students the code right at exam time and then changing the code once everyone is in is a way to make sure different sections you teach are not accessing the exam when they are not in your presence. This can be set on the detail page of any quiz/exam you make in Canvas. 2. Filter IP Addresses- Many learning management systems have the ability to only allow a quiz/exam to be taken on campus. By choosing to filter the IP address you can prevent students from possibly accessing or finishing an exam at home without a proctor. This can also be set on the detail page in Canvas. Be aware that sometimes if a device is being managed by a VPN, students will not be able to take the exam due to this setting. 3. Change feedback setting - One of the beautiful things about accessing digitally is that exams are graded immediately and teachers can spend more time on other things. In Canvas there is a setting for students to see question feedback right after taking an exam (in fact, it defaults to this setting). For testing integrity purposes, I would suggest changing this setting to a time after all of your students have taken the test so that you can be more assured that students aren't sharing their results with each other. 4. Shuffle answers - In most robust LMS options there is an option to shuffle the answers inside a quiz/exam with one click. When this is utilized to automatically it is important not to have answer choices like "both a & c" because it will randomize the answers and this answer will not be correct. 5. One question at a time - By choosing the option for students to see one question on a page it keeps wandering eyes from looking over and seeing another student's page of answers. The downside to this is that many students find it cumbersome when taking a test. Think of it like a hand covering the last question as the quiz taker moves along the test. Easy access is eliminated. Lockdown Browser. Using a lockdown browser so students cannot take screenshots or navigate off the tab they have open is another option. This is not a built-in option for most LMS options. Any time add-ons are used there is sometimes an added level of opportunity for things to go wrong. Keep in mind that you may have to troubleshoot this in your classroom as well. This document gives our teachers an overview on how to use Canvas with the Respondus lockdown browser as well as showing them how students will use the software depending on which device they are using. The above list gives teachers various ways to create quizzes/exams that ensure testing integrity. Teachers can pick and choose things that seem most beneficial to them but the value of test proctor movement is invaluable in both digital and non-digital assessment. It is also the easiest management tool. Use an access code (as soon as all students have accessed the test change the code). At the end of the class, period have any students who have not completed the exam come to you and physically watch them exit the exam. This way they cannot continue the exam except when you give them the new code. This prevents students from finishing up a quiz/exam in study hall with access to information to help them. When setting up the quiz, choose the "shuffle answers" box so that the quiz itself with automatically shuffle the answers for you. The downside of this is that you can't use answers like "all the above" or "both B and C" because it may look different for your students. Allowing for extended time on tests. If you are a teacher that sets an amount of time for a quiz or a time availability (a close time) when you assign a quiz that quiz will automatically be submitted when that time is up. If you want to allow students extended time for tests, don't use the availability but require an access code. This way once the class is over, the students can access the quiz afterwards as well. For this option, I would suggest changing the access code after each class for integrity purposes. Create an event. Choose to click on the calendar link on your blue vertical navigation toolbar. In the top right corner of the calendar view click on the + to add an event. Title your event that lets your students know what the expectation will be. You can add more details by clicking on "more options." The event will default to being added to your personal calendar, so make sure you use the drop down box to choose the class you want to share the event to. Click submit. (The event will now show up on the students' calendar and "upcoming" list). Click on the across arrow inside the assignment box for the student in question. When the sidebar pops up change the assignment to either "None" or "Late (blue)" based on your needs. This will remove the missing label in your grade book, the students view and the parent view. It is helpful to look over your grade book occasionally to see if there are any pink boxes and whether they need to be fixed. Give immediate access to individual students take a quiz without having to go through the process of reassigning the quiz to the student. Go to Settings in your class and move Announcements up for students to view. Create the announcement and assign it to the class based on your needs. Click on the INBOX on your blue vertical navigational toolbar. In the middle top of the next page, click on the paper with the pencil icon. Make sure you choose the correct course or people you desire to communicate with via Canvas email. As our upper school teachers start the process of using Canvas at our school, the tech department has started meeting with them to help them create their courses. Our CTO found a really great Canvas "how to" course in the Commons area of Canvas and we are having our teachers go through these modules and submit assignments throughout the process. The wonderful thing about this is that the process actually leads to the creation of their own courses at the same time. Learning that leads to usable end results! This past week we started the overview of what Canvas looks like and some teachers chose to jump right in and start the Canvas Camp modules. As I have been reflecting on this week I am excited about the support for our teachers that is embedded in their school day. I am also thankful for the excitement many see in using this new platform. What does good digital design look like? How does one accomplish the task at hand in a timely manner? What should the interface look like from the student view? How do we create patterns of efficiency for our teachers, students, and parents that don't undermine the teacher's autonomy of making the class "their own." Collect your resources FIRST. You know what you need to teach your units, put those resources all in one place so that you aren't spending all your time going back and forth looking for the next file. Be mindful of copyright laws. Using PDFs and third-party curriculum can be tricky for online course content. As a rule, if you are unsure a link that takes you to the curriculum outside of your module tends to be the safe bet. Some of our teachers have actually contacted third-party vendors to make sure they are using things the correct way. You might want to look into that. Lastly, as long as it is contained for your students and you haven't made your work public (allowed access to it through the Canvas commons, for example) you tend to be safe. You aren't overwhelmed in May when that imposed timeframe is checked. You can storyboard your goals to help you prioritize the things most important to you. Check out your course mapping. This is a timely opportunity to make sure the objectives you have tagged in your mapping of your course are actually being taught and met. It's very easy to change part of your classroom goals over time based on new initiatives and feedback and forget to update the mapping. Create your learning objectives and outline a course level module. Make it clear what the expectations are for your students. As you start aligning the objectives with tasks, take a look at Bloom's taxonomy or a Depth of Knowledge (DOK) chart to make sure your objectives are measurable. Each module should probably have 3-5 objectives. Now is your chance to think out your process for teaching your curriculum and have lessons plans made that would allow a sub to step in with embedded direction while you are out with the flu or whatever! It's even possible that if you start the new year out explaining your Canvas class structure to your students, sub days will still be highly interactive learning days. Share files, pages, or Google Drive options? Get ready to assess. Push your boundaries on what best assessment might look like for the module at hand- perhaps it isn't true/false, multiple choice but maybe it is. Also, take this opportunity to decide what the purpose of your assessments are. Is it to see what the students learned, or is it to see what you and the student need to go over to make sure they know the information forward? Is this formative assessment or summative assessment? Is it for a grade, benchmark or both? Would a rubric and a speed grader help you give better feedback to your students in a timely manner? Would voice comments help your student? 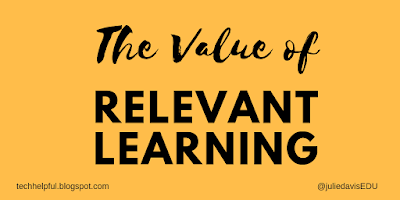 When looking at assessment, look at opportunities for you as an educator to create efficiencies that would allow you more insight into the student learning and time to spend in relational interactions. 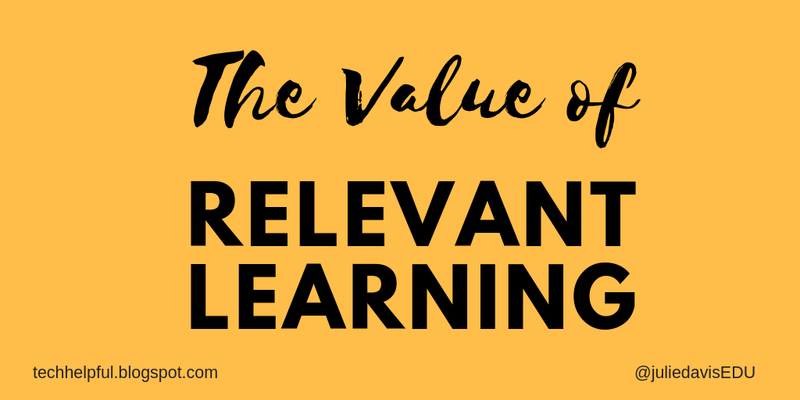 While you are not currently creating an "online course" you do have the ability to streamline the processes of education that can lead to benefits for both you and your students. Technology will not replace you but looking for ways to replace the tedious might help you to use your time both in and out of the classroom more effectively. Why use a LMS? Why use Canvas k12? Analytics- By creating expectations for students to take assessments using Canvas, we also have the ability to start to see patterns of each student's learning and possible gaps in the mastery of concepts. While we are not a full-fledged competency-based school in the way we teach, we now have a place where administrators can quickly have access to class averages on assignments and even dig deeper to see individual student results. Compliance- In some ways using Canvas diminishes the silo effect that education can sometimes cause. When administrators can only get into a classroom for a few observations a year, Canvas allows admin to take a quick glance at assignments and quizzes to make sure all teachers are compliant to the goals and expectations put upon them for their curriculum. Scalability- We are in a school system where we have multiple educators teaching the same course to grade levels. By having those educators work together to create their Canvas-based curriculum it takes workload levels off everyone and allows systems to be in place regardless of the size of classes. Blended learning works well with Canvas. In our middle school math program, we have been able to effectively increase class size by using this platform for students to navigate their daily needs. Accountability- The real-time aspect of Canvas allows administrators to immediately see if lesson plans are both accurate and up to date for students with just a click of the mouse. Mobility and Accessibility- Students now have the ability to access their assignments easily as long as they have access to the internet. Being a 1:1 school with 100% at home connectivity (one of the upsides to living in Chattanooga, TN- home of the fastest internet in the country), this means our students now can access things without the excuses of "the dog ate my homework, I lost it, or I didn't know I had homework." Deliver Content Instantly- Teachers now have the ability to deliver information to students instantly. Perhaps a classroom discussion spurs a teacher to remember an article they want to share. Utilizing an LMS allows the teacher to quickly upload it to the course for immediate and future reference. Personalization- Canvas allows educators to assign things to individual students, give individual students multiple attempts to take a quiz, share different resources with different student groups, all without other students knowing that differentiation is taking place. This allows some students with IEPs to feel less self-aware of their learning issues because others aren't aware that any accommodations are taking place. Have a student that can breeze through the curriculum? With mastery paths being utilized within Canvas, teachers can meet those needs by creating deeper learning or allowing those students to go further with their learning. Multimedia Learning- The use of Canvas allows teachers to share videos, audio recordings, as well as continue robust face to face engagement with students that might be graded outside of a computer-based assessment. Sometimes students may not grasp a concept during a lecture but a teacher can upload a video of themselves or someone else teaching the concept and students can stop and start the video to make sure they have the concepts before moving on. Transparent view- Parents have the ability to see exactly what their students are seeing by pairing with them. They can view the courses, the calendar due dates, and grades all from one location. In a world of constant connectivity, parents have the ability to know 100% what the expectations are for their child's classes because it is all listed in their Canvas courses. Nothing can be placed in a grade book without first being added as an assignment in Canvas. Click thru to assignments- Parents have the ability to see a grade or a "missing" label and then click directly through to the assignment to see the details. They can see everything their student can see, they just can't complete the assignment with their parent account. Parent portal for accountability- Parents can set up to receive notifications regarding their child's account. If they choose to use the Canvas Parent App, they can have the app push them information straight to their phone about course grade levels, missing assignments, when a grade is above or below a threshold they deem important to know, and any announcements about a course. If they use the web browser access, they can set themselves up to receive emails for the same types of information in order to hold their children accountable in their learning process. Single sign-on- One of the things we wanted to streamline for our students is giving the ability to go to one place and have fewer log-ins and passwords to remember for their educational process. Canvas allows our students to use their Google accounts for single sign-on capabilities. There are no longer multiple platforms and passwords to remember because all information and access goes through Canvas for our students. Consistency- Students now know they can go to Canvas and click on "calendar" to see all the things due on any upcoming date that has already been assigned for any class they are taking. Students know that their "Upcoming" section represents a week glance. Students know that their "to do" list means things that they need to get done. Students now have one platform to go to see information shared by their teachers. While each class may look differently, based on how the teacher set their own courses up, the student experience remains significantly the same for access and turning in assignments. Now students aren't sharing a document via Google Drive in one class but uploading to an LMS in another. Their experience and the expectations feel more the same from class to class. Collaboration- Canvas allows for discussion boards and it connects with the school Google suites account for all students. This allows students to work together on a Google doc or slideshow, for instance by adding information or comments. Students also have the ability to participate in "peer grading" through the Canvas LMS platform. Communication- Knowing that a teacher is communicating through one platform helps students to realize the importance of checking for communication more often. Canvas allows the students to expect all communication in one localized place- the place where they also see their assignments, turn in their assignments, and take assignments. Immediate Content- Canvas allows students to place their virtual hands-on content quickly and efficiently based on teacher sharing. Students no longer have to go back to their locker to get a handout or call a friend because they lost the details of the homework assignment. Students can immediately access the content of their courses as long as they have access to the internet. With any digital plan, there are sometimes bandwidth issues, accessibility of device issues, quirks, and a learning curve for all users. It's not all benefits but as we are now a month into the school year, the benefits of this endeavor seem to quickly outweigh the detriments for our students.